The Davie Bell is a unique sporting event, piting the tops cyclists in the UK against each other, but also the unforgiving and spectacular landscape of the hill and moor roads of south Ayrshire. 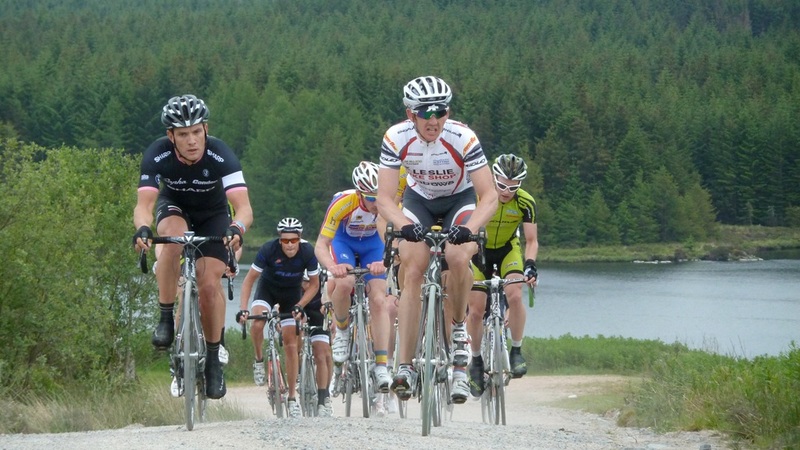 The race has featured sectors of unpaved forest road in past editions, and is rightly regarded as a ‘Monument’ of Scottish Cycling. The race pays tribute to David E.T. Bell – aka the Highwayman, a founding member of Ayr Roads Cycling Club / Harry Fairbairn BMW. Recent victors include Rapha Condor Sharp’s James McCallum, Team Raleigh’s Evan Oliphant, and the late Jason MacIntyre. A well established event, the South Carrick David Bell Memorial is one of the major classics of the Scottish racing calendar, but who was Davie Bell? The Lagg Prime . A certain Robert Millar sprints to 2nd. The David Bell Memorial race is run in honour of former club member, David E.T. Bell, aka ‘The Highwayman’. He, probably more than anyone else, sowed the seeds of cycling interest in local people’s minds from 1931 until his death in 1965. Writing under the name ‘The Highwayman’, he described countless scenes and wrote of thousands of incidents which make up the cyclist’s day in his weekly column in the local paper, the Ayrshire Post . Since 1966 the club has held an annual road race in David Bell’s memory. The course takes in Rowntree Toll where a monument stands to David Bell. It is still possible to read about the exploits of The Highway Man through a collection of his work: The Highway Man . In it you will discover startling accounts of post war cycling. Bell records his fears of how the new Forestry Commission will spoil the many wonderful views of the Coast and Galloway, images many current riders are finally enjoying for the first time. Although focusing on riding, his is a fantastic historical account of the period, in which Bell finds good fortune in someone willing to trade a replacement tyre on the Sabbath. A trained botanist, Bell had a great eye for natures detail. Perhaps best of all though are accounts of his curiosity, and adventures with his bicycle. Surely there is scope to call him Scotland’s pioneering mountainbiker with his trips up Ailsa Craig and the Merrick accompanied by his steed. And this is not to mention his treks into wilderness to explore the names he has found on his ‘Survey Map’; the Wells of Ree, the Deil’s Dyke and so on. And can you believe it; in Bell’s day the Fullarton Wheeler’s were the strongest racing club in Ayshire? In recent years great Scottish Champion Cyclists including James McCallum, Evan Oliphant and the late Jason Macintyre have ridden to glory in the event. Who won yesterday and what about the ladies ?